It's taco time! 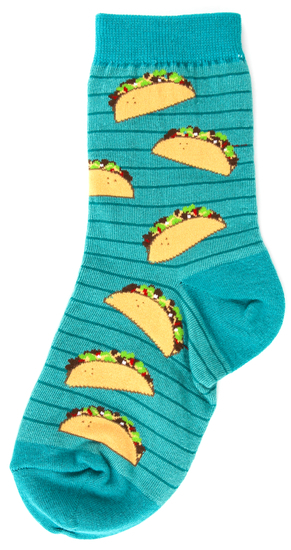 Our taco design novelty socks are sure to satisfy your kiddo's taco craving. This favorite food is a real treat whether it's a meal or a fun pair of taco socks.